Are you “back back?” That’s the question we’re getting a lot these days when we run into friends in Glenwood Springs, and the answer is yes. Our life as vagabonds has come to an end, at least for now. We are settling into a house sans wheels in New Castle, Colorado, nine miles west of Glenwood. 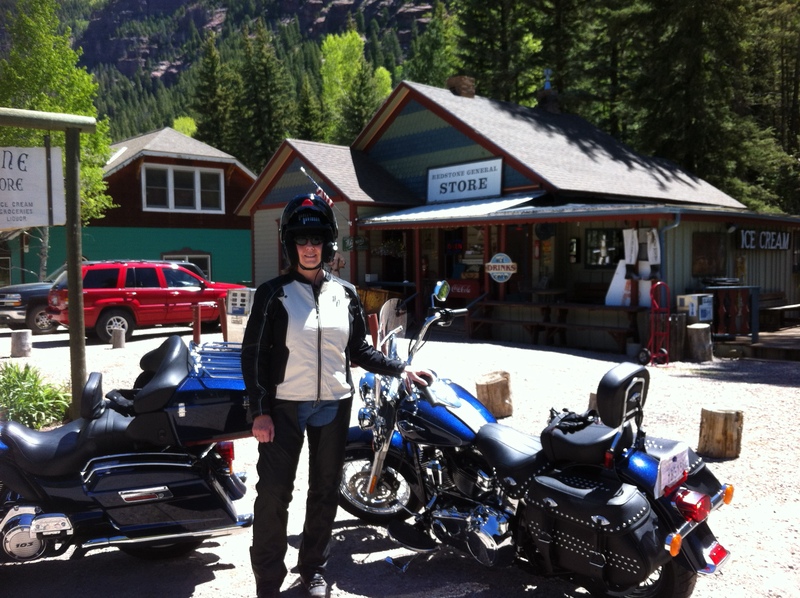 A stop at the Redstone General Store for ice cream on our first ride. Another item on the “someday” list: learn to ride a motorcycle. Scott has ridden most of his life and lives to ride. I tried riding on his bike with him, but, as Austin Powers would say, “that’s not my bag, baby.” Control issues: Check. For our anniversary last year, my gift to Scott was a promise to take the Learn to Ride* class to find out if I like riding my own bike any better. Fast forward to April. I took and passed the class and got the coveted “M” endorsement on my driver’s license. And a crappy new driver’s license photo to go with it. 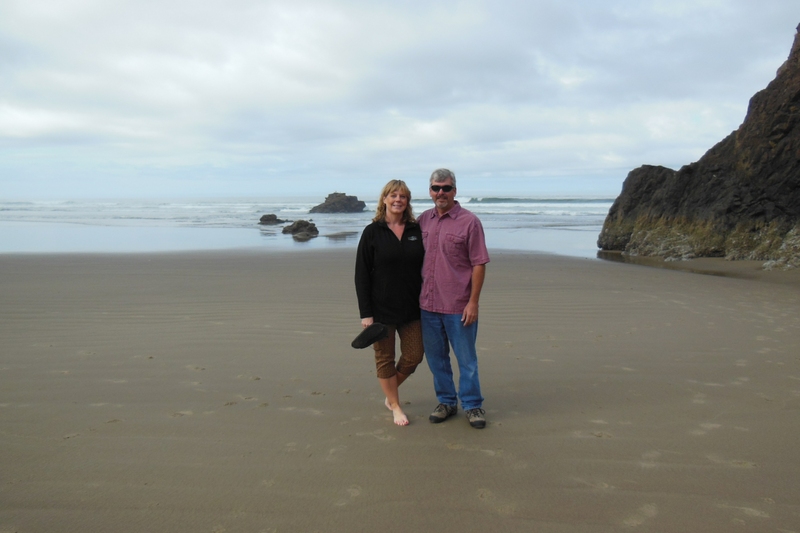 Enjoying a walk on the beach in Oregon on our first empty nest road trip. Last fall, after 20 years of diapers and daycare, car pools and packing lunches, and worrying about who was where and why, I found myself in that worrisome place that many parents dread: the empty nest. My evenings and weekends, once filled by driving all over the state and cheering on the sidelines at track and cross-country meets, soccer and volleyball games, were suddenly free. What’s a mom to do? Week 1: Overcompensate. That’s what I did, anyway. I registered at Colorado Mountain College and signed up for cooking, baking and yoga classes. That took care of Tuesday and Thursday evenings. I added in breakfasts, coffee meetings and lunches until I barely had time to work. Or think, which was the point.